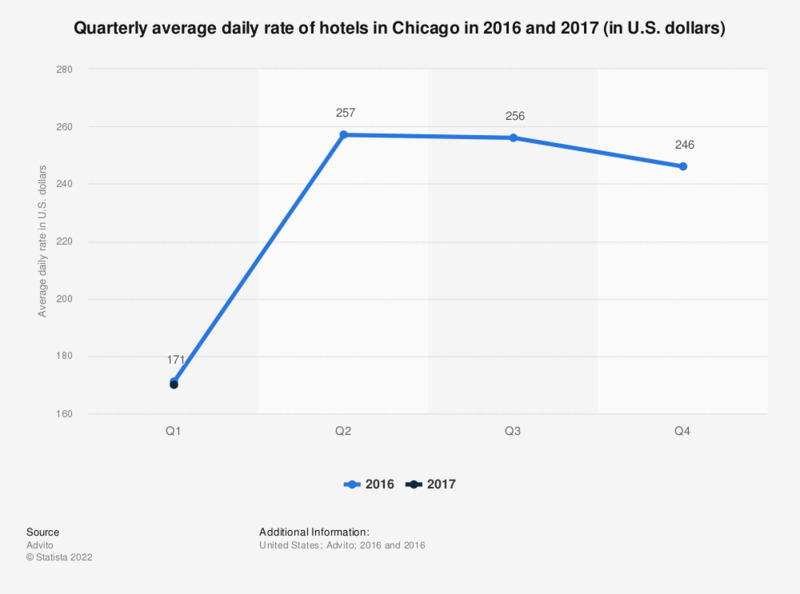 This statistic shows the quarterly average daily rate of hotels in Chicago in 2016 and 2017. In the first quarter of 2017, the average daily rate of hotels in Chicago in the United States was 170 U.S. dollars. In the United States, the hotel industry generated 199.3 billion U.S. dollars in revenue in 2016. In 2016, the occupancy rate of U.S. hotels was 65.5 percent and the average daily rate was around 123.97 U.S. dollars.